The world’s biggest collaborative information accumulation project, Wikipedia has over 100,000 active volunteers working in 270 different languages. This open source website is one of the most effective marketing tools for a company or an individual if you create a Wikipedia page smartly. The key operative word here being ‘smartly’. A Wikipedia page can add huge value to your brand. Over the years, it has become a matter of prestige to be on Wikipedia. As our CMO Mohit Mirchandani says, ‘Everybody who is somebody wants to create a Wikipedia page’. Moreover, with a domain authority of 97 (yes 97! ), it has tremendous SEO value. You can also read our blog on why one needs to create a Wikipedia page to know more. Citations are the backbone of a Wikipedia article and ensure its authenticity. It is important to note that there are only a certain kind of citations and references that will work on this website. Blogs, social media, personal websites, or press releases are not considered as valid citations. Therefore, it is important to find books, press articles, academic papers or other such validated sources to back up your claims in the Wiki article. Failing to do that would usually get your article flagged, or in extreme cases, it may even get deleted. Every single claim made in the article need to be backed by credible citations. 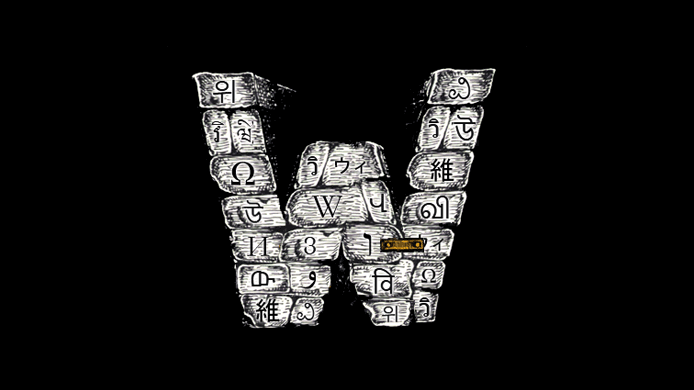 Wikipedia is an information dissemination, open-source website. While it can work as a great promotional tool for brands or individuals, it is not advisable to write on this site as if you are promoting your brand. The language needs to be as matter of fact as possible. ‘Wikipuffery’ or adding unnecessary adjectives and descriptors should be avoided. This is usually done to increase the prominence of the article, but it will almost always work against you and may (or will) get your article deleted. For example, an award cannot be called prestigious since that is a subjective word. A musician cannot be called a ‘great’ or ‘very good’ musician. Keeping a neutral and factual tone is not only advisable, it is a necessity. One thing that should be carefully avoided is uploading your company’s Wikipedia page, or your own page, yourself. Not every writer can be a Wiki editor (well, technically you can but in reality, you can’t). One of the most important policies of Wikipedia is having a ‘neutral point of view’. The website is designed to seek neutrality. Creating a Wikipedia article about yourself or your brand or having someone close to you do that will be flagged up with a ‘conflict of interest’ tag. If your page has got flagged for deletion, most people enlist other Wikipedia editors and make them vote ‘keep’ in a ‘keep’ vs ‘delete’ discussion. In some cases, they tell their friends to create a Wikipedia account and then vote. With no history or credibility associated with these accounts, Wikipedia admins see right through this. We have seen cases where over 10 accounts have got deleted at once. In the Wikipedia world, this is known as ‘sockpuppetry’. If your page has got flagged for deletion, back up a ‘keep’ vote with references and Wikipedia policies. Emotions or long talks do not work. Simply voting ‘keep’ does not work either. You need to justify why that page should stay on Wikipedia.